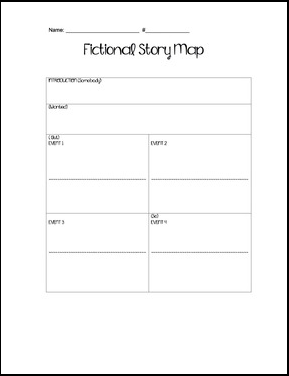 This fictional story map can be used to support students in retelling any story. For younger students, you can work with a basic retell to prepare students to writing a summary. For older students, I use the top half of the box to tell what happened and the lower half to analyze characteristics of the characters during certain events. The graphic organizer follows the "Somebody, Wanted, But, So" structure, lending itself to be used with the plot of many books. I use this resource with my character analysis essays after reading a picture book where the main character changes throughout the story.